Parent BMW Group operated a fleet of electric Mini E test vehicles in the U.S. beginning in 2009. 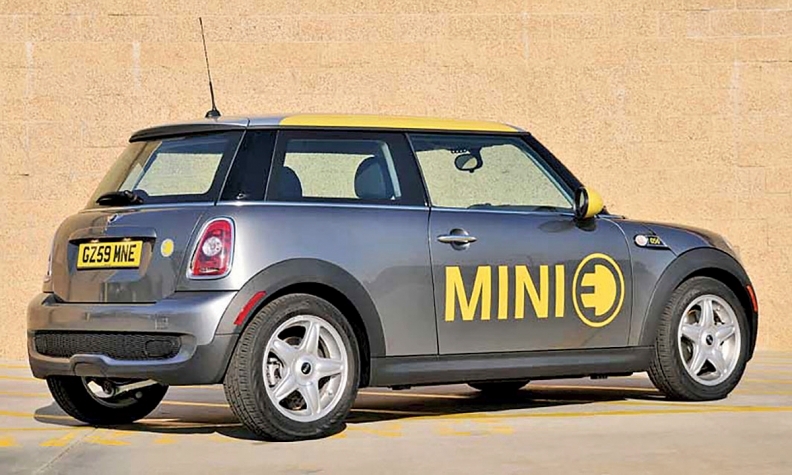 Now Mini plans to add an electric vehicle to its lineup. NEW YORK -- Mini's promised fifth volume model will be an electric vehicle, due in late 2019. When parent BMW Group announced the electric Mini last fall, it had been unclear whether the EV would be just a niche player in the brand's portfolio. But Sebastian Mackensen, global head of Mini, confirmed that it will be more than that. He declined to share the car's expected size or body style or any sales projections this early, though. "The electric car is not meant to just have an offering so you can say you have an electric car, but really nobody buys it," Mackensen said during the New York auto show. "No, it's a real car, and people will hopefully buy it." BMW and Mini executives said in 2015 that the brand would focus on offering five core models, which it dubbed its "superheroes." Four were clear, but the question had been what would become the fifth model. As market demand shifted to SUVs and crossovers, Mini's U.S. sales dropped after hitting a peak of 66,502 vehicles in 2013. Mini sold 52,030 vehicles last year in the U.S. While the redesigned Countryman that went on sale in March should help the brand increase sales, Mini will be unable to return to record levels this year, said Thomas Felbermair, vice president of Mini of the Americas. But that day should come, Mackensen said, aided by the coming EV: "I don't see a reason why we shouldn't be able to get back to those levels."